Our local licensed plumbers serve both home owners and commercial businesses throughout Nashville and Middle Tennessee. If your hot water heater is in need of repair, service, or possibly replacement, our company will gladly provide you with options. Morton Plumbing, Heating & Cooling has been servicing water heaters in Nashville for the past two decades and would love to earn your business. Our plumbers and support team are here to address all your water heater questions. We have provided some valuable information below to help you make an informed decision. Please know that if you decide to have Morton Plumbing install your water heater unit, we guarantee your satisfaction and warranty our work. Life Expectancy of Water Heaters: An average water heater has a life expectancy of eight to fifteen years, depending on water usage, maintenance, and the quality/type of heater. 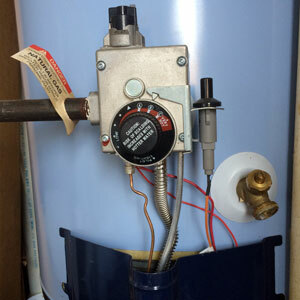 Within their life span, water heaters may need repair.